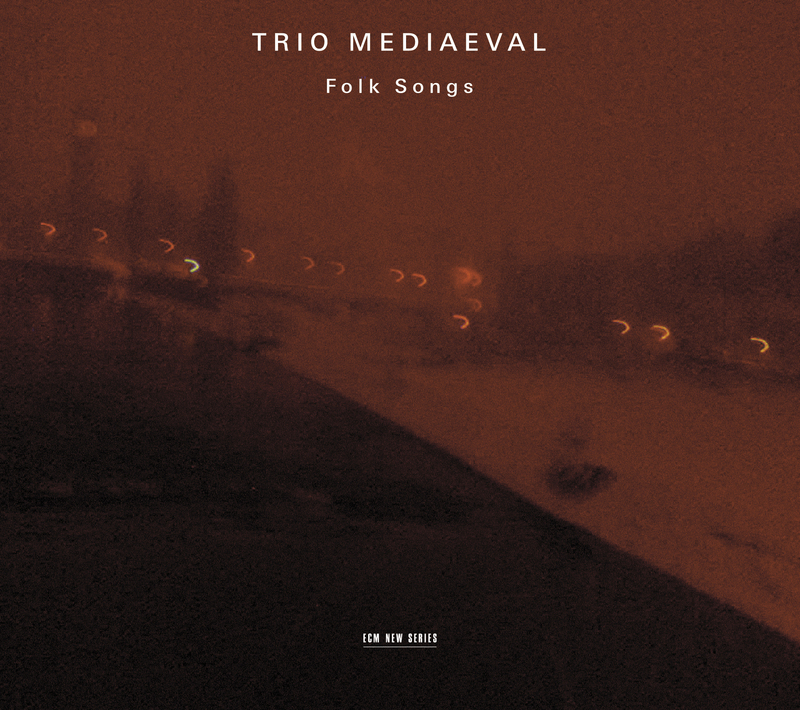 Since 1997, Trio Mediaeval has been unrolling a most distinct musical carpet. Yet nowhere has it made so consistent a statement as through the Norwegian folk songs that make up this, the group’s fourth album for ECM. With help from percussionist Birger Mistereggen, the Trio pulls the listener by the hand through a world of mythic scope. Mistereggen’s contributions are intuitive, drawing us into the spirit of things with a touch of the land for every ethereal weave loomed above him. His propulsive beat in “Villemann og Magnhild” (Villemann and Magnhild), for one, enhances the fablistic structure prevalent throughout so much of the program, and even in its absence renders such “Nu solen går ned” (The sun is setting) all the more dream-like for the precision of its harmonies. Styles range further from call and response [“Tjovane” (The thieves)] to lullaby [“So ro, godt barn” (Rest now, sweet child)], battle cry [“Rolandskvadet” (The song of Roland)] to supplication [“Folkefrelsar, til oss kom” (Saviour of the nations, come)], achieving emotive peaks in such forlorn sonic geodes as “I mine kåte ungdomsdagar” (In my reckless, youthful days) and in the solo “Nu vilar hela jorden” (All the earth now rests in peace). Folk Songs cuts to the heart of its inspirations while also renewing those inspirations with clothing of the Trio’s design. The album also continues Manfred Eicher’s vision, which plunges its hands into the very earth and emerges with music that is uncannily familiar. The astute ECM fan will, for example, notice the wonderful “Bruremarsj frå Gudbrandsdalen” (Wedding march from Gudbrandsdalen) as a source on Jan Garbarek’s seminal Triptykon. These continuities are not without intuition, and speak to a deeper thread that links tradition to all eras with an unbroken line of affection.